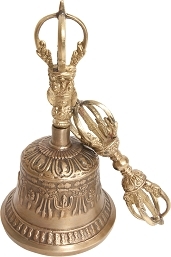 Bells and dorjes are used in many Tibetan Buddhist rituals. 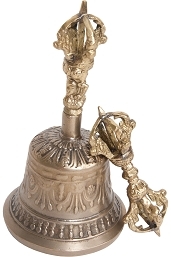 The bell symbolizes the feminine principle, the wisdom of emptiness, while the dorje, or vajra, symbolizes the masculine principle, that of compassion expressed through skillful means. The union of these two principles is enlightened mind.